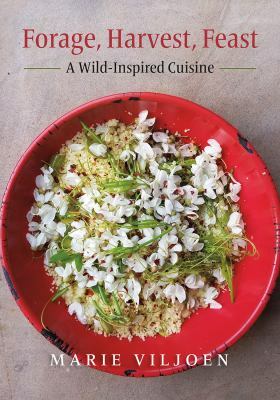 In this groundbreaking collection of nearly 500 wild food recipes, celebrated New York City forager, cook, kitchen gardener, and writer Marie Viljoen incorporates wild ingredients into everyday and special occasion fare. Motivated by a hunger for new flavors and working with thirty-six versatile wild plants--some increasingly found in farmers markets--she offers deliciously compelling recipes for everything from cocktails and snacks to appetizers, entrées, and desserts, as well as bakes, breads, preserves, sauces, syrups, ferments, spices, and salts. From underexplored native flavors like bayberry and spicebush to accessible ecological threats like Japanese knotweed and mugwort, Viljoen presents hundreds of recipes unprecedented in scope. They range from simple quickweed griddle cakes with American burnweed butter to sophisticated dishes like a souffléed tomato roulade stuffed with garlic mustard, or scallops seared with sweet white clover, cattail pollen, and sweetfern butter. Viljoen makes unfamiliar ingredients familiar by treating each to a thorough culinary examination, allowing readers to grasp every plant's character and inflection. Forage, Harvest, Feast--featuring hundreds of color photographs as well as cultivation tips for plants easily grown at home--is destined to become a standard reference for any cook wanting to transform wildcrafted ingredients into exceptional dishes, spices, and drinks.